Imagine this: You go to High school. Your dad gets screwed around and your friend is a strange guy with white hair (No, not that one…). Due to unforeseen circumstances you jump in a car. When you step out you are in the 50s and your mum’s got the hots for you. Time to get clever,eh? 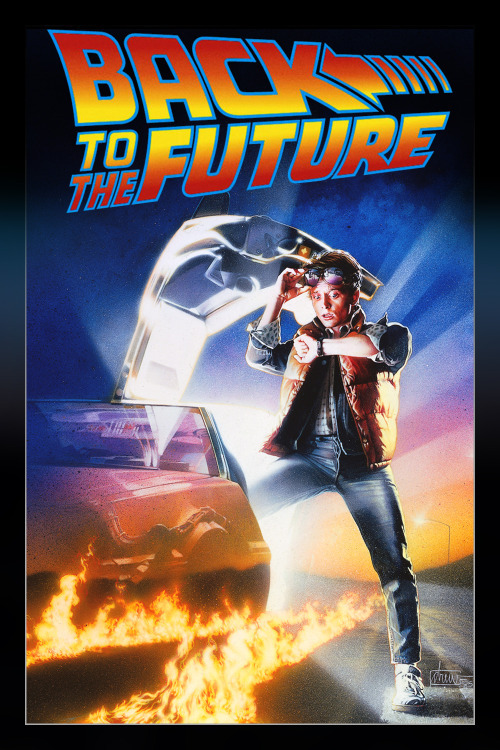 ,Back to the Future’ celebrates nearly 30 years of success. It’s safe to say – this week’s movie is a classic. Writer and director, Robert Zemeckis, created a tale of drama and Sci-Fi that keeps you glued to the screen over and over again. The film’s brilliance lives from the well constructed script by Robert Zemeckis, Director of ‘Forrest Gump’. Well placed comedic lines and a balance between drama and Science Fiction bring Marty and Doc to life. We see Doc, a very ambitious but slightly confused scientist who shines through his pathos for the matter and we watch Marty, a teenager who defies stereotypes and becomes more complex than at first expected. Having had the chance to direct all ‘Back to the Future’ films, Zemeckis was able to realize his love for special effects. Referring to this first film of the series, the special effects create a very special character for the film. Sparks of fire,steam and lighting shape the experience of time travelling. A very well formed ending keeps the viewers longing for more stories of the duo. When you find yourself daydreaming about what is happening next, you wake up during the credits – searching for your copy of ‘Back to the Future II’. ‘Back to the future’ might be one of the best written scripts in Hollywood ever- claim hundreds of reviewers. Is that so? You have to decide for yourself. Hundreds of people are re-watching the film at this very minute. Are you, too?